First time I’ve used PowerShell for problem solving. Using Google Sync, you can now get your Gmail messages pushed directly to your phone. Having an over-the-air, always-on connection means that your inbox is up to date, no matter where you are or what you’re doing. Sync works with your phone’s native email application so there’s no additional software needed. Only interested in syncing your Gmail, but not your Calendar? 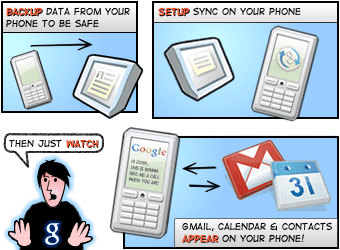 Google Sync allows you to sync just your Contacts, Calendar, or Gmail, or any combination of the three. Looks like the Exchange team as thrown us a bone with the Release Candidate of Exchange 2010..